Space Ibitza - Spain NightClub. Party starter in the club Space Ibitza. Club Space has long been competing with "Amnesia" in the first place ranking Dj Mag.Institution designed for the afterparty, located near the runway, and opens its doors at 8 am, when all the other clubs of Ibiza close it.Here, you can continue partying right under which call for landing aircraft on the shaded terrace. 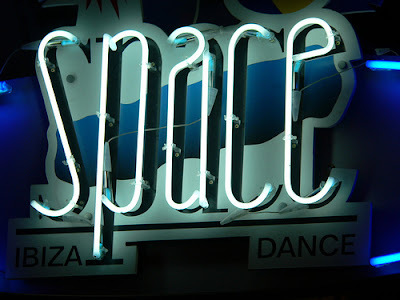 Club Space Ibiza is now working every day, just under the big parties, inviting famous DJ-s. Space works even on Mondays, arranging parties called Ibiza Sessions. 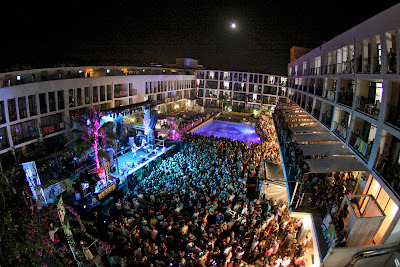 Club impresses with its size as much a pleasure that it consists of three halls in different styles. Two halls in the open air and Chill Out Zone under the roof. Frankly my club much impressed, though I do not frequent visitor here. The club has yet to compete for visitors with such giants as Pacha and Dolce Vita. But about 10,000 guests at the opening of the club undeniably impressive. The cost of entry: On the spot 20 $ 50 (depending on the day), just sold the animators, guides, and so on. Adress: SPACE BEACH CLUB Playa d’en Bossa s/n 07817 Sant Jordi (IBIZA).